The Rossignol XV Sashimi is pretty much an elongated Sushi that takes a little speed/drive that we love from the XV. While it doesn’t shine in any one area it has a fun overall ride that never disappoints. if you are looking for a super-directional daily driver that is always deep powder ready this could be a good call. Also, don’t underestimate its ability to enjoy turning/carving groomers as it’s not just a powder board. Conditions: Everything from over a foot of some pretty good powder to some pretty fun groomers to some moderately hard groomers and an early morning slackountry time with Drift Boards. Set Up: 21.5″-22” 21 front 0 back close to reference to set all the way back. 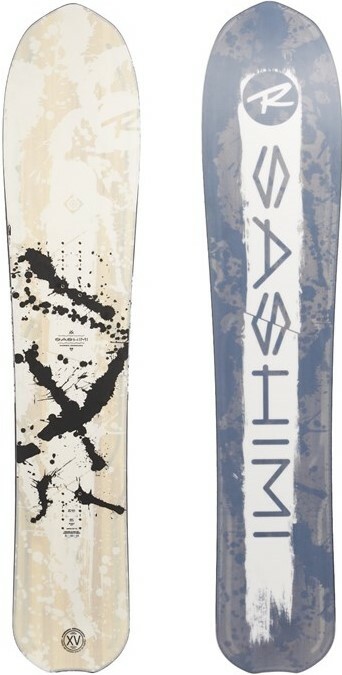 We try to get as many images of the Rossignol XV Sashimi, but forgive us if they're not all there.